If you thought mason jars were only good for canning pickles and preserves – think again. They are the superstars of DIY wedding decor. 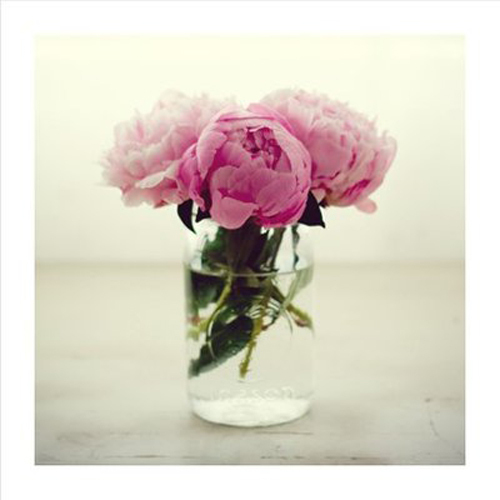 They have a vintage appeal and make even the most simple floral arrangements stand out. They’re incredibly economic (try picking the jars up at flea markets and yard sales). The list of DIY projects involving mason jars can go on and on. 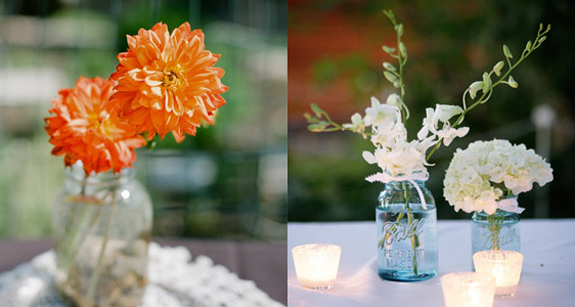 Here are just three of my favorite ideas for adding chic style to your wedding with mason jars. Aisle Markers Set the stage as you and your wedding party proceed down the aisle at your wedding. Hang jars filled with simple arrangements (like these colorful gerber daisies) on shepherd’s hooks at an outdoor ceremony. 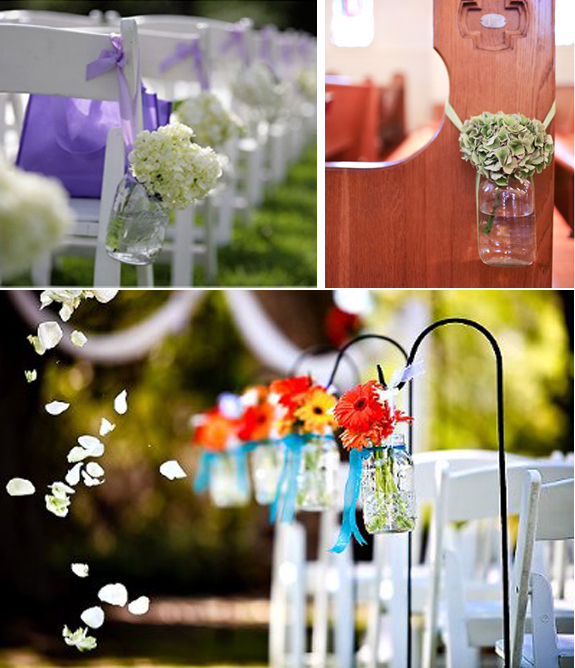 Or, coordinate pretty ribbon with your wedding colors to suspend flower filled mason jars (I love the simple hydrangea stems) from church pews or row end chairs. Ambiant Lighting Nothing sets the mood at a wedding reception better than soft, gentle lighting. 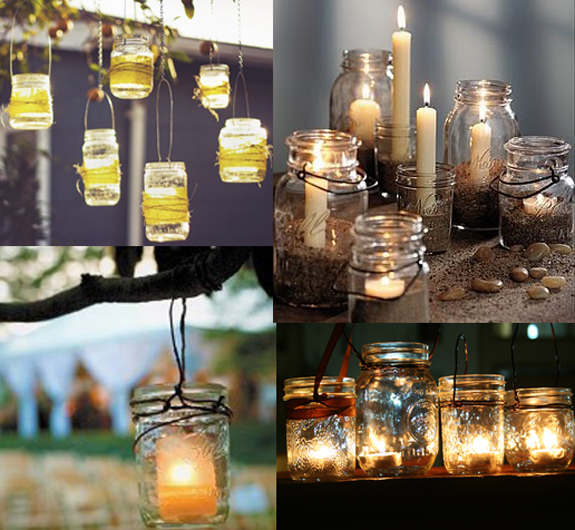 These mason jar lanterns are a welcome addition to any outdoor celebration. They’re easy to make, budget-friendly and add rustic charm. Click here for simple instructions for DIY hanging lanterns. 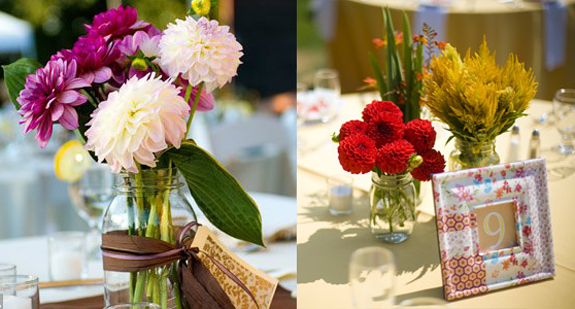 Floral Centerpieces Simplicity rules when using mason jars to decorate at your wedding. Large bouquets can overwhelm the vintage shape and style of the jar. Stick to single varieties of flowers in small arrangements or mix similar colors in small groups. Mason jars come in different sizes and styles. Don’t you love the charming mixed group centerpiece? (below, right) This bride combined different sizes of jars and flowers, and added an adorable fabric frame to create a charming centerpiece with table number. There are so many other amazing ways to use mason jars when decorating for your wedding. They can hold signature drinks at your reception, be used to hold table numbers, or to create sweet homemade favors for your guests. I just loved this inspiration board about mason jars(below) from The Design Grove and wanted to share it with our readers. Enjoy! Thanks for the great ideas ! I already knew I wanted to use Mason jars…now you’ve given me more ways to use them. These are some really great ways to use the Mason Jars. Simple yet beautiful. Wonderful ideas! We have these jars in our shop and are always loving to share new ways to use them. Gratitude for the great ideas! I by now knew I wanted to use Mason jars…now you’ve given me more ways to use them. Hello, fabulous ideas. 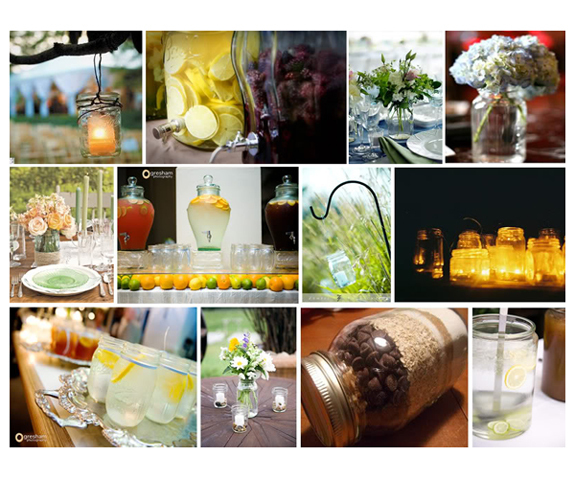 I’ve seen jars used as wedding props before but you’ve really got lots and lots of ideas to inspire here. I’ll put the jars we have at our tauranga wedding venue to better use. These jars have so many uses! Love the romantic glow they take on with tea lights or as rustic vases or decor. So easy to find, too!